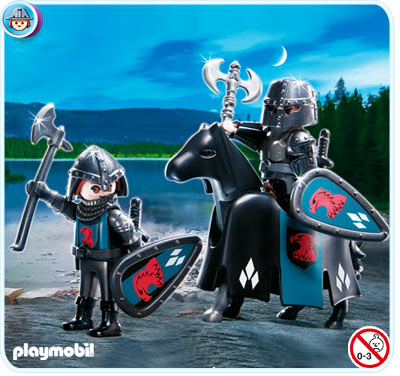 Two Falcon Knights carrying a battle axe, sword and shield. A horse is also included. Figures are 7.5cm tall.